Concord bed and breakfast travel guide for romantic, historic and adventure b&b's. 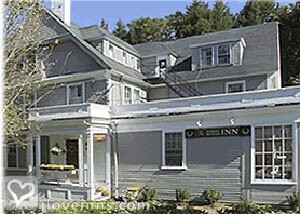 Browse through the iLoveInns.com database of Concord, Massachusetts bed and breakfasts and country inns to find detailed listings that include room rates, special deals and area activities. You can click on the 'check rates and availability' button to contact the innkeeper. Massachusetts' historic Concord boasts Nathaniel Hawthorne's home, which is called the Wayside. Next door is another home of a famous writer, the Orchard House of Louisa May Alcott. Just a few blocks away is Concord Museum. Other historic spots worth seeing are Ralph Waldo Emerson's Home, Old Manse, the Old North Bridge, and Sleepy Hollow Cemetery. Lovers of nature enjoy a number of natural scenic attractions nearby, such as the Great Meadow Wildlife Refuge and Walden Pond. Minute Man National Historic Park is a combination of historical and natural relevance. Innkeepers of Concord bed and breakfast inns can sometimes serve as guides. By Hawthorne Inn. Just 30 minutes from Boston, three rivers wend through a Colonial landscape of Minutemen's fields where moss-covered stonewalls embrace the homes of Hawthorne, Alcott, Thoreau & Emerson. Patriot's Day in April, commemorating the first battle of the revolution, fills the town with Colonial and British re-enactors participating in parades, battles and Balls. In July we host the Thoreau Society meeting and Autumn brings many literati for the Concord Festival of Authors. And, of course, the gentle rivers, Walden Pond, Great Meadows Wildlife Refuge and miles upon miles of trails draws nature lovers, bicycle enthusiasts hikers and kayakers. Only 19 miles from Boston the village is home to many top-rated restaurants, including: Woods Hill Table, 80 Thoreau and Bondir. You will find no box stores in Concord, but indie-owned shops offering antiques, clothing, hand-crafted goods and fine art. In all seasons Concord is a destination of discovery. By Hawthorne Inn.